Equitable mootness is a judge-made remedy that is misnamed. Judges apply it to seek an equitable result, but mootness in the constitutional sense is absent. Article III, section 2 of the U.S. Constitution bars federal courts from hearing matters that are moot, because no case or controversy exists. But, in contrast, equitable mootness applies when courts voluntarily decline to hear matters even when cases or controversies are present. “[T]here is a big difference between inability to alter the outcome (real mootness) and unwillingness to alter the outcome (‘equitable mootness’). Using one word for two different concepts breeds confusion.” In re UNR Indus., Inc., 20 F.3d 766, 769 (7th Cir. ), cert. denied, 513 U.S. 999 (1994). 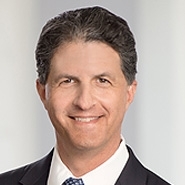 To continue reading Dan Lowenthal's article from the January 2014 edition of The Bankruptcy Strategist, please click here.